This is an excellent article that ties together several loose ends on what Hillary and her merry band of crooks did in their efforts to prevent the Trump Presidency while putting our nation’s security at risk. And Obama’s leadership in it. In any criminal investigation where the suspect is not immediately known, the first question usually asked is who would have the most to gain? As we follow the bread crumbs of the text messages of Peter Strzok and Lisa Page and await release of the House Intelligence Committee’s memo regarding the collusion between the DNC, the Hillary Clinton campaign, the DOJ and FBI to interfere with the 2016, ensure the election of Hillary and the defeat or impeachment of Donald Trump, the answer to that question is clear, one Barack Hussein Obama. Can it be believed that as key players in the Obama administration like Strzok and Page, as well as FBI Director James Comey, Deputy Director Andrew McCabe, number 4 at Justice Bruce Ohr, Attorney General Loretta Lynch, and many others were linked in a vast criminal conspiracy to keep Hillary Clinton out of prison, and Donald Trump out of the White House, Barack Obama was blissfully unaware of all this? Rather, it can be plausibly argued that he was orchestrating it. The article is well worth your time to read it. What happens if things unfold as the author has suggested? Will Hillary be indicted? Will Obama? James Comey? Andrew McCabe? Loretta Lynch? 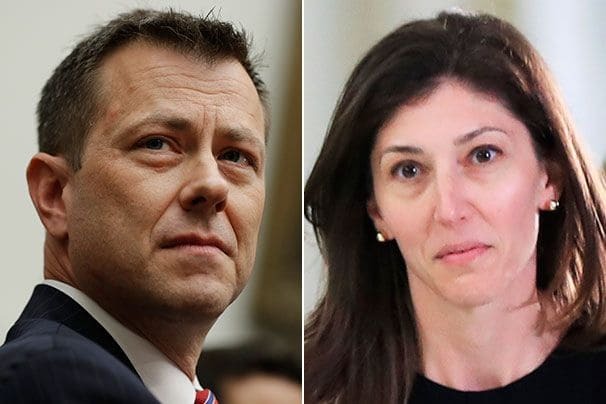 Strzok and Page? All of the above or none of the above?